Good news, kiddos! Captain Ultimate is double-shipping in October! 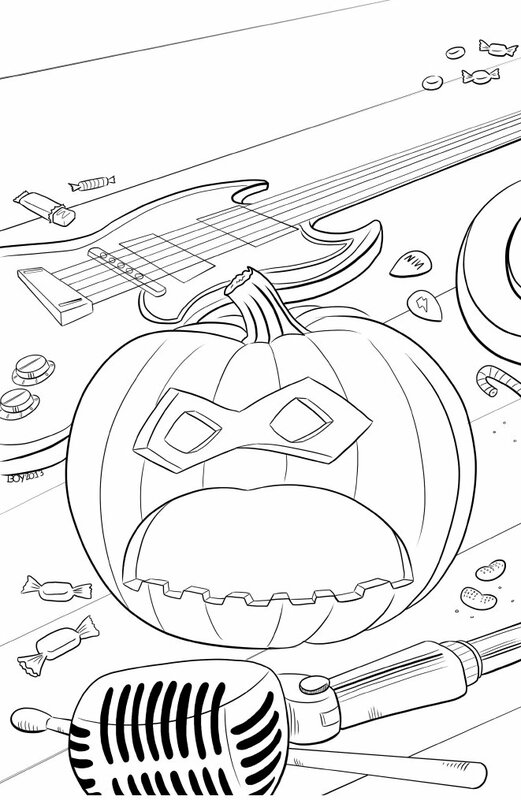 That’s right, we’ve got a very special Halloween Spooktacular prepared for you, just in time for All Hallows’ Eve! 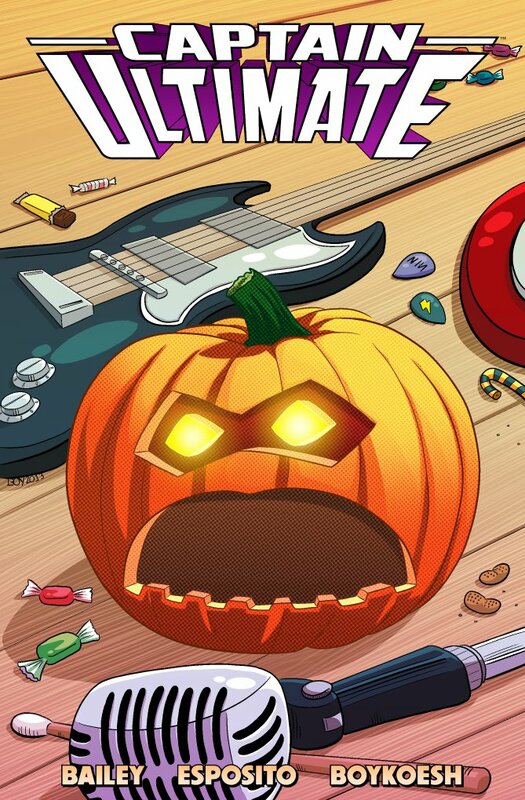 Hitting Comixology on October 30, Captain Ultimate #4 introduces the evil punk rock band The PumpKills as Milo, Ulti-Mutt, and Cap go on an insane trick-r-treating adventure! You can pre-order the issue now for only 99 cents. Take a look at this awesome cover, complete with the uncolored version below! Captain Ultimate #4 hits on October 30!